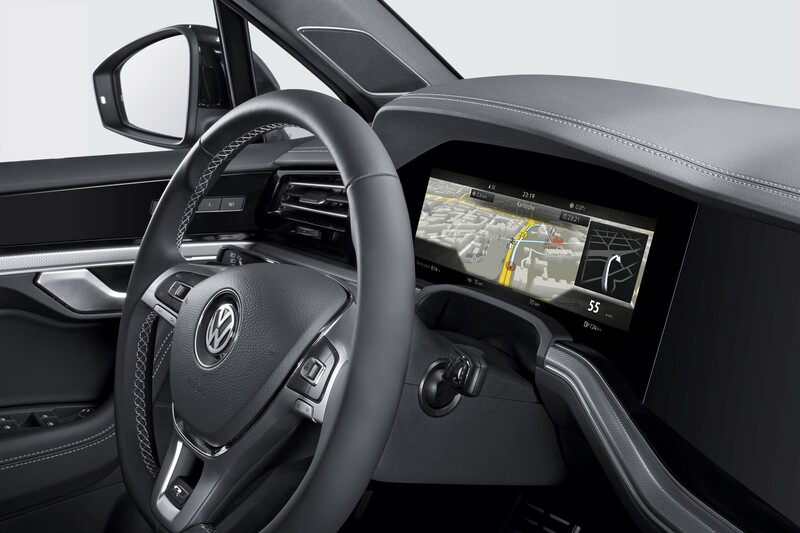 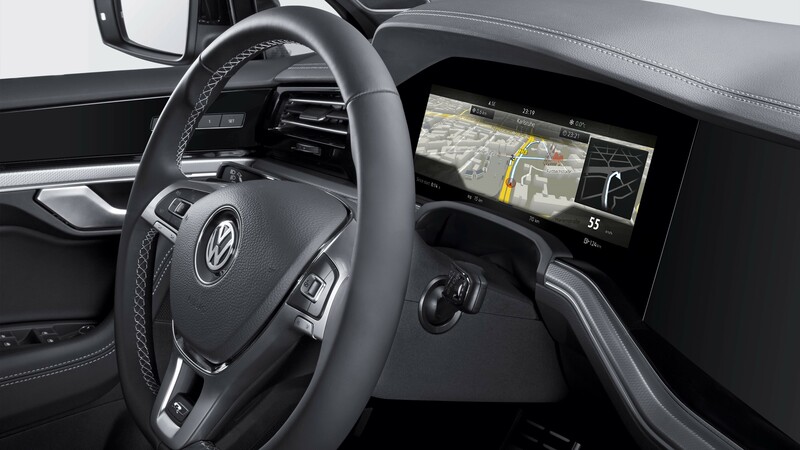 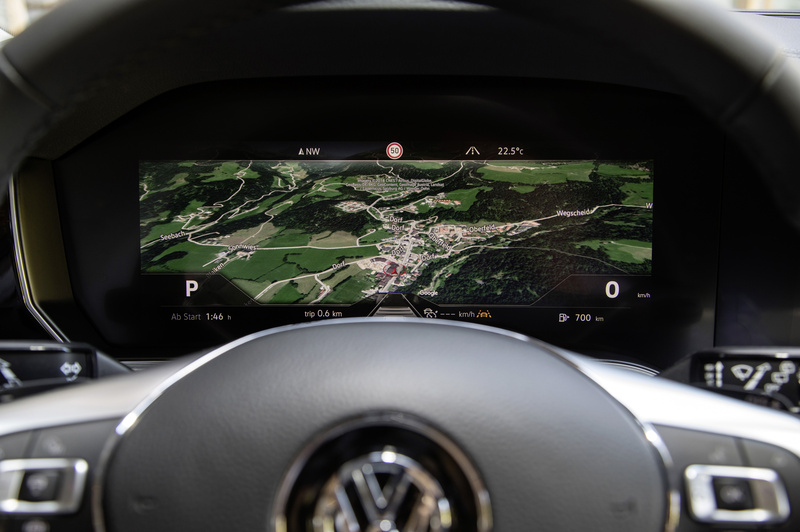 World debut in the “Innovision Cockpit” of the new Volkswagen Touareg. 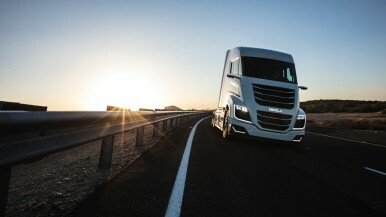 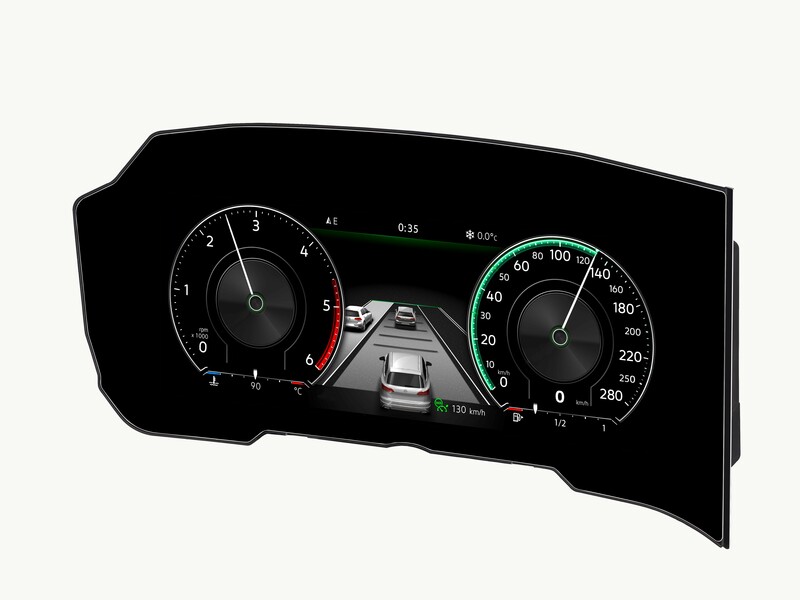 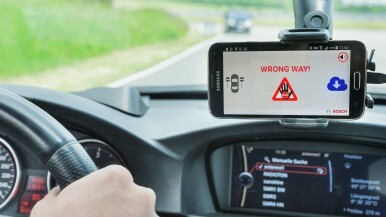 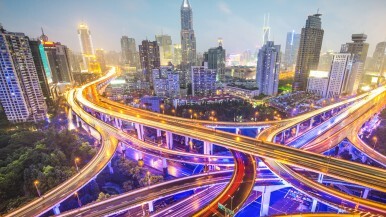 Bosch gets the world’s first curved instrument cluster on the road. 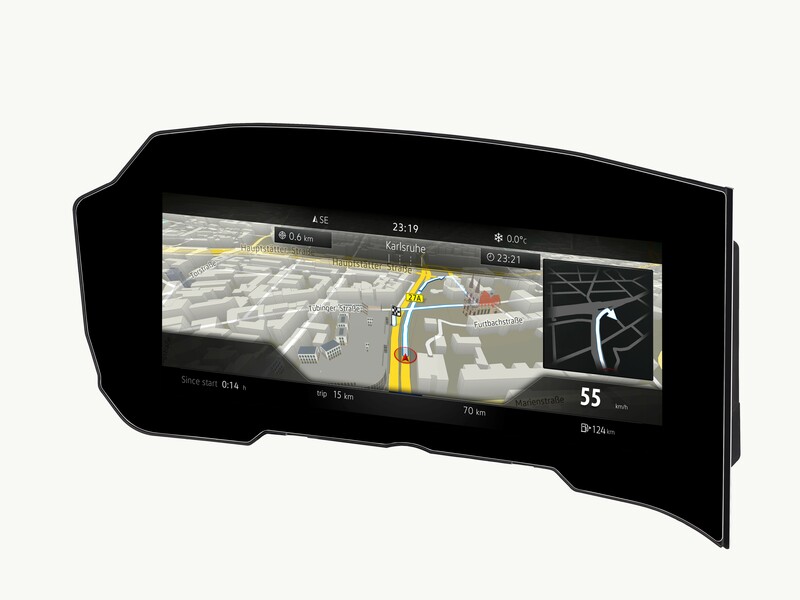 The days of flat instrument displays are over. 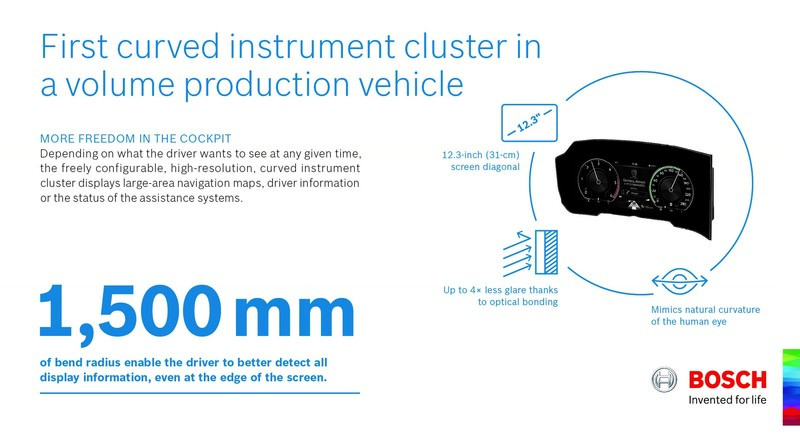 With the world’s first curved instrument cluster, Bosch is opening up a new dimension in vehicle cockpits.